Being a fan of new media, some of my blog is available as a podcast. I’ve periodically created seasons of podcasts for you to listen to. Even some that I’ve done as early as 2006 still survive (maybe some day I’ll find copies of my earlier work that I can use). You can listen online via my Anchor station. You can subscribe via my RSS feed. 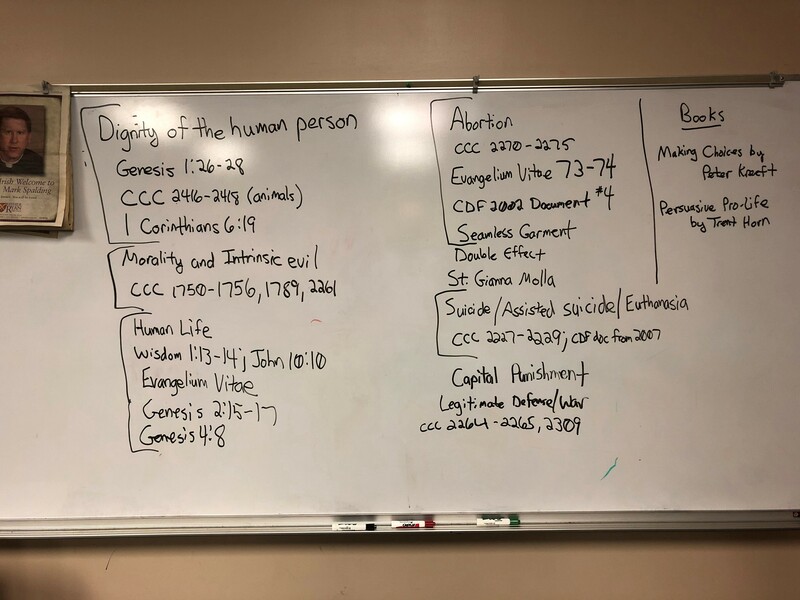 Dignity of the Human Person and Human Life (practice round of a talk given in January 2019, not the live talk) You can view the photo of the outline that was written on the board at this link. You can also download a handout that I made later at this link. Catholic Social Teaching (practice round of January 2019 talk, not the live talk). You can also obtain the handout at this link. For the actual talk, I did add some things on racism and sexism being sinful and health care being a basic right. Please note that I am not saying that recognizing the natural differences between men and women as sexism. In fact, I am convinced that not recognizing the differences is a form as sexism as is denigrates distinctly feminine gifts. The Four Last Things (March 25, 2019) – Most of this is from the actual live talk, but I had to re-record a chunk of it due to technical difficulties during the talk. Handout is available here.